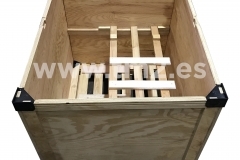 Repeat the same operation again and again without needing to replace the components. 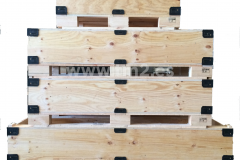 We adapt to your needs and can also make custom boxes. 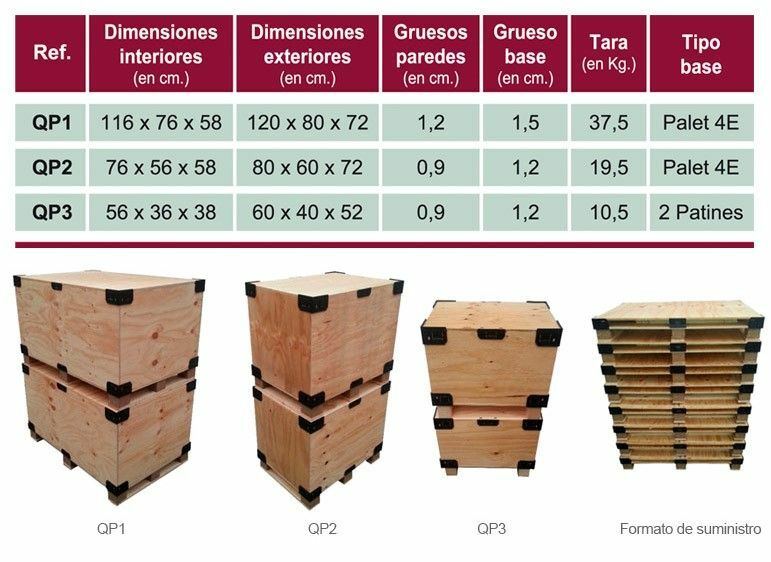 Reduces space and storage costs. 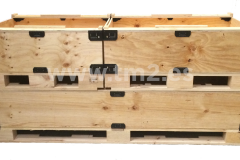 Reduces space and transportation costs. 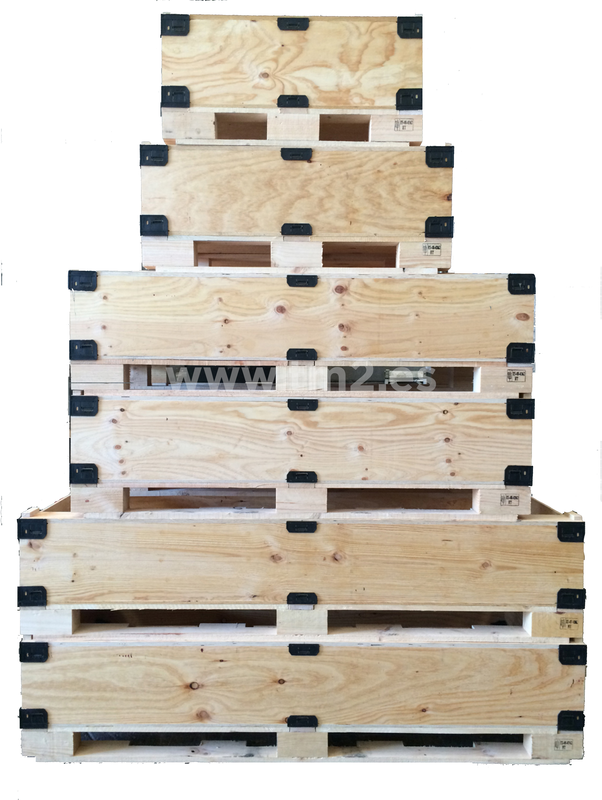 Reduces assembly and disassembly time. 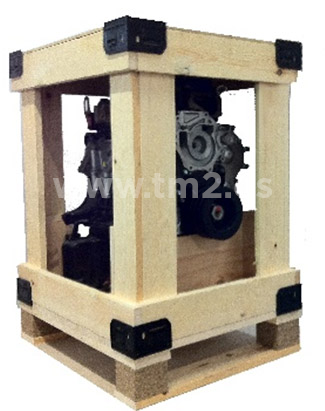 Reduces repair time and costs by being able to replace only the damaged part. 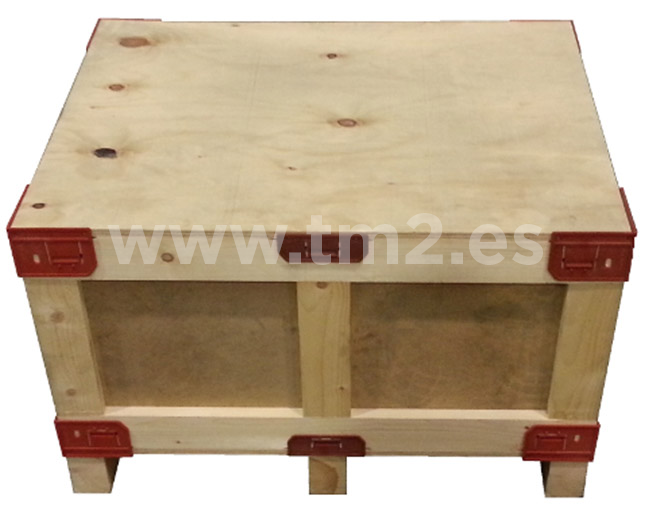 Reduces risks of accidents to have no need for nails, levers, hammers or pneumatic nail-drivers for assembly and disassembly. 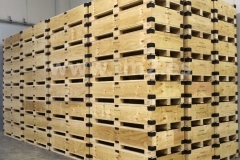 Reduces energy consumption during its assembly. 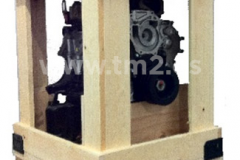 The customer can put it together without tools and in very little time. 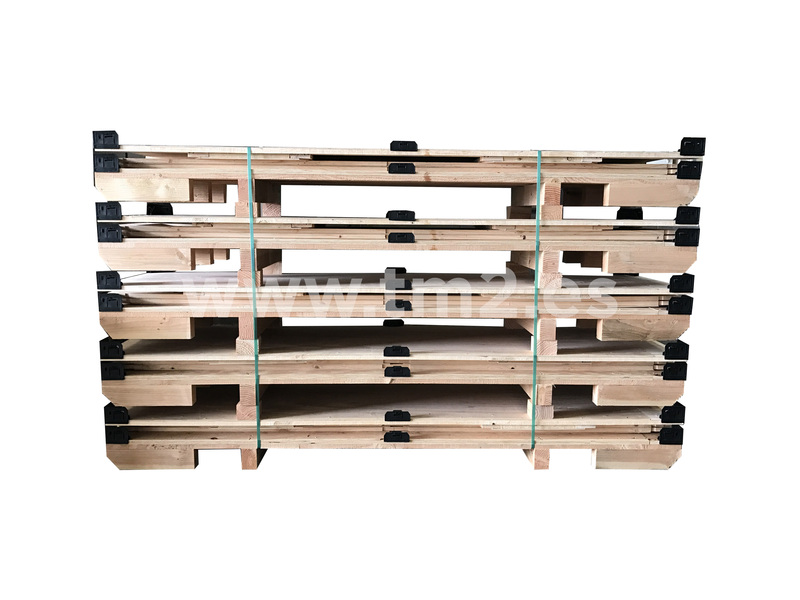 Reduces waste by increasing its reusability. 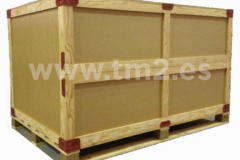 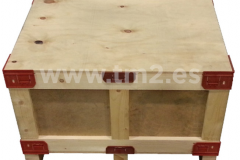 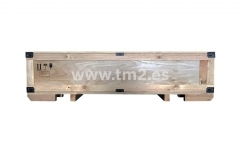 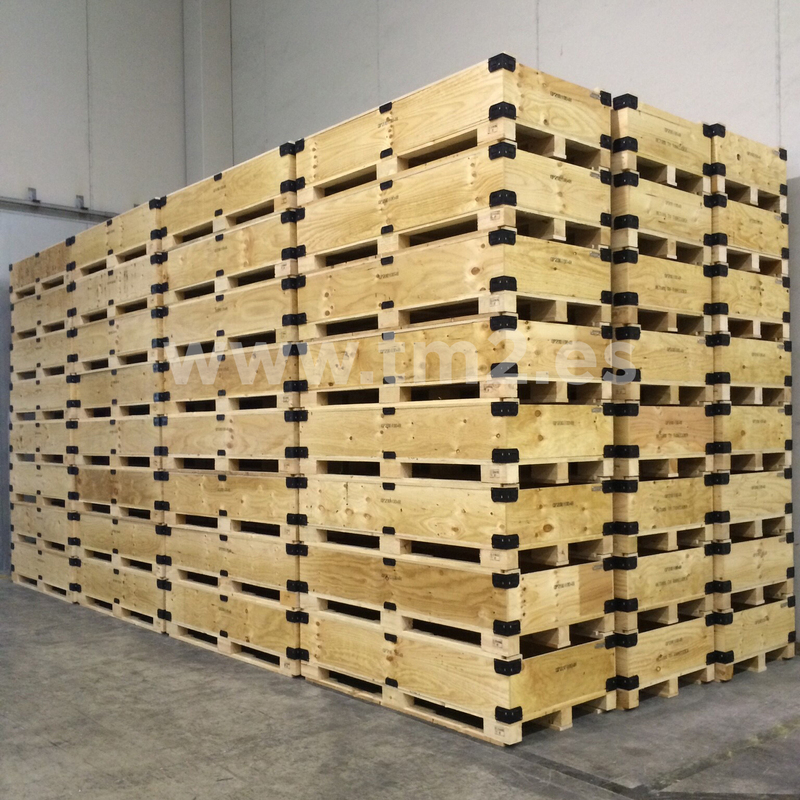 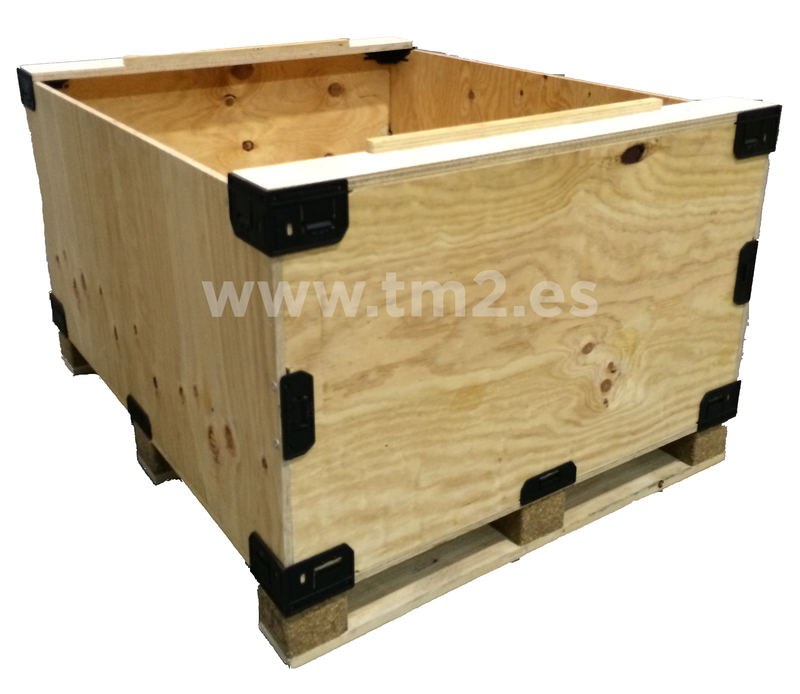 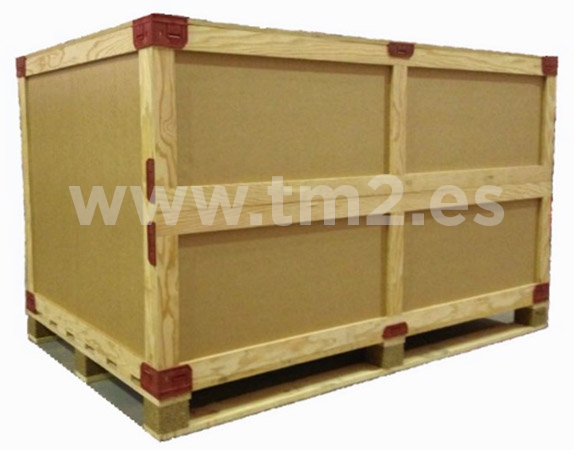 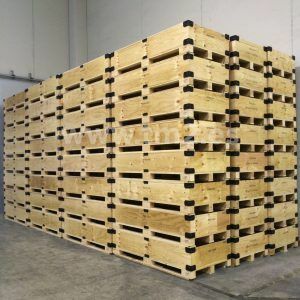 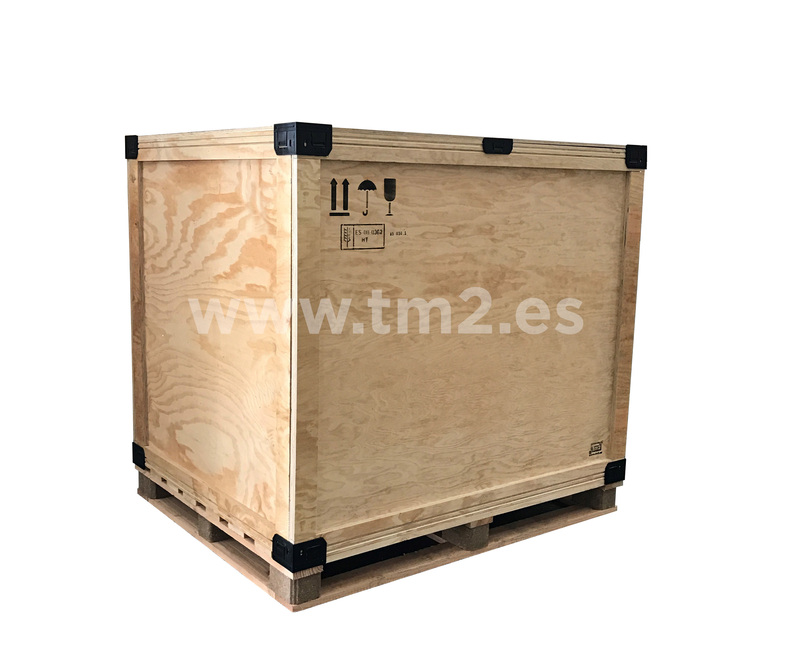 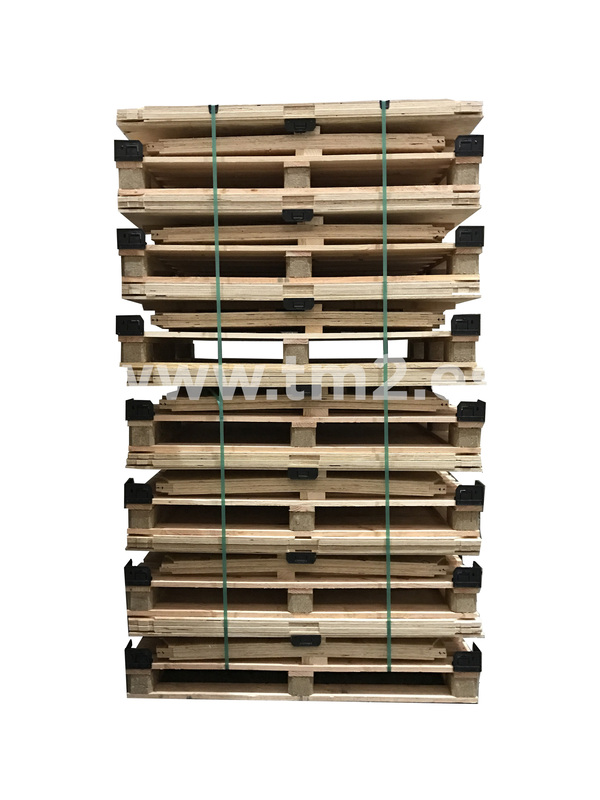 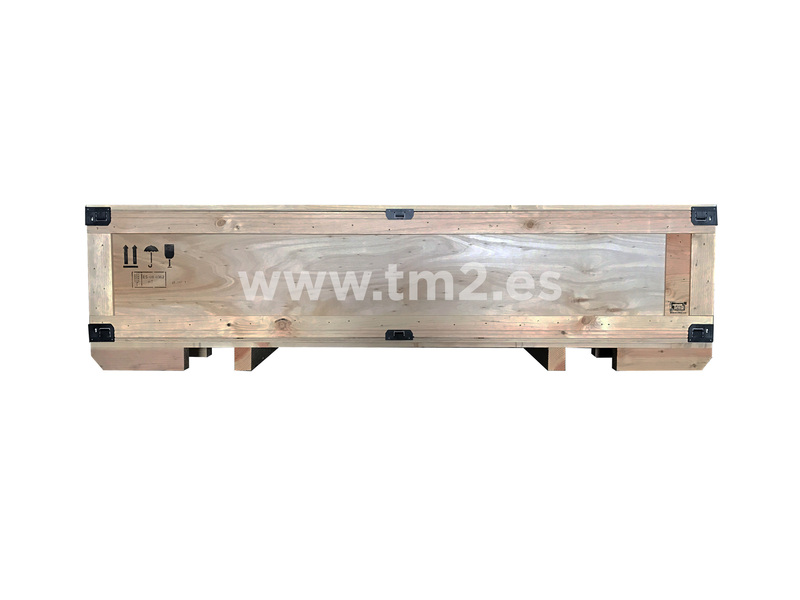 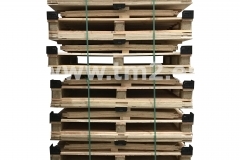 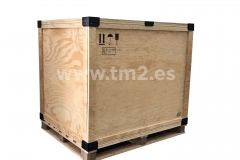 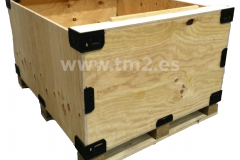 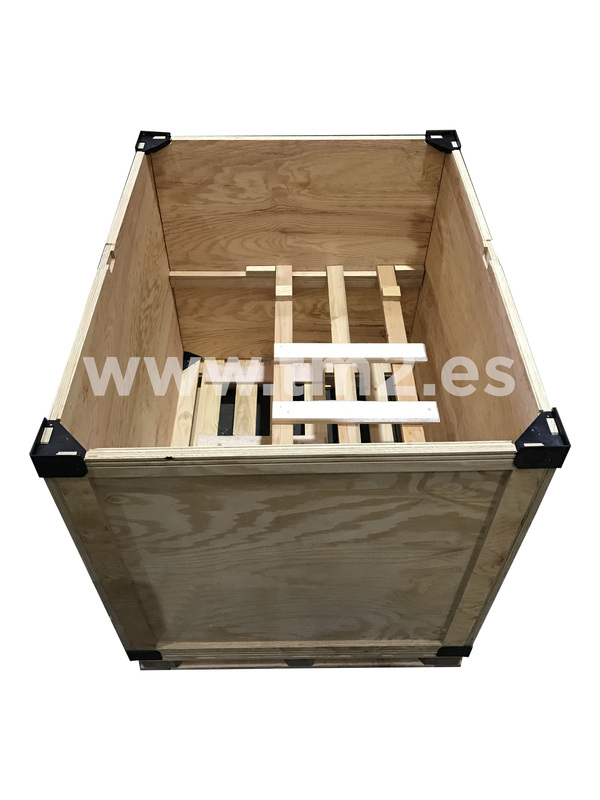 QUICK PACKAGING CONTAINER suitable for transporting goods with OPTIMIZATION of the HIGH CUBE container. 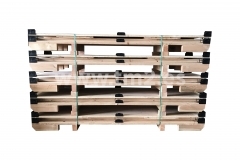 No need for tools, nails or screws. 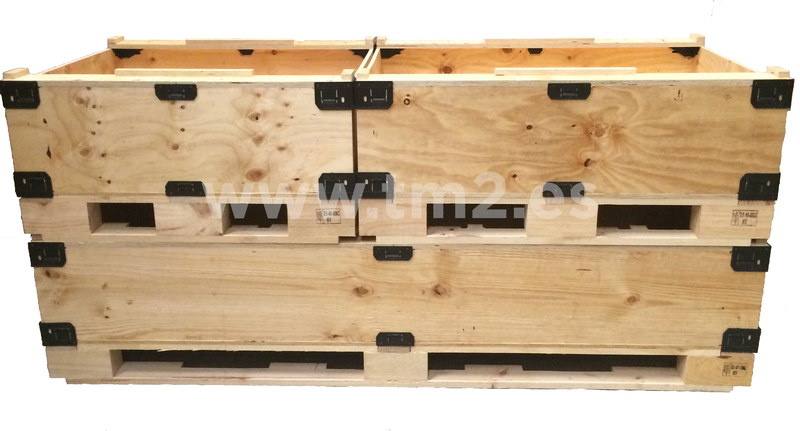 REDUCE space, time, energy consumption, waste and accident risks.